The Historical Society of Vandalia-Butler is seeking photos and artifacts for an April exhibit at the Vandalia Branch Library. VANDALIA — The Historical Society of Vandalia Butler is continuing plans for our exhibit at the Vandalia Branch Library Opportunity Room for the month of April, 2019 during normal library hours. Our goal is to re-create National Road, using photographs and artifacts from 1838 to 1959, when Vandalia was still a village. 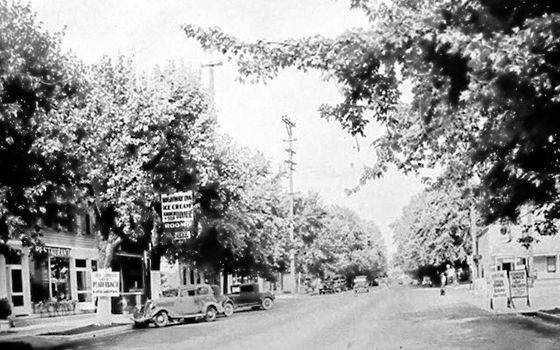 We invite residents of Vandalia and Butler Township to help us with this project by sharing artifacts or photographs that might help us better tell the story of the early National Road through “Downtown” Vandalia. Perhaps you have artifacts from one of the iconic shops, services, churches, recreational facilities or forms of transportation. We are interested to see what’s out in our community. Please call Joe Dranschak at 937-898-6689 or email him at jdrans01@aol.com if you have something to share with us. We thank you for your support.